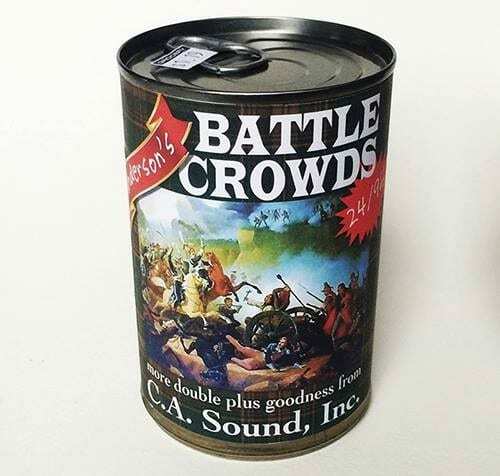 This library contains over 10GBof high-quality battle crowds and civilian sound effects (Walla) in 500+ royalty-free source files with thousands of vocal variations (ranging from male, female, soft, hard, high, low and mid-ranged vocal dynamics). This collection of pre-edited source recordings has everything you need to audibly re-construct just about any type of battle or civil-unrest scene... and then some! Includes full meta-information and recorded entirely at 96k / 24bit with over 100 people in a highly controlled outdoor environment.